Here are a few practical hints and tips to help you when CV writing. 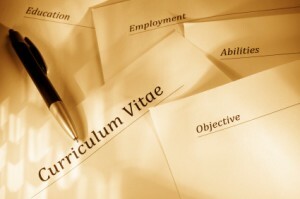 managing your CV library these hints and tips will work for you. You can also download my CV Template here. 5 – 8 years of career history prior to/after the career break. You are applying for roles that require a greater level of experience – be sure to check this is the case before you attach your CV. Ensure you always have your name, address, daytime telephone number and email address clearly visible on the first page of your CV. You should not include details of your personal references on your CV, these should only be provided if you are successful at interview. You can tailor your CV for specific roles, career paths, industries or business sectors. E.g. you may have one CV that is tailored for marketing roles in Financial Services and another that is tailored for office management in a customer service sector. You will have the skills and experience in both job types, but by drawing out the relevant information on a tailored CV you will make it stand out more amongst the crowd. When tailoring your CV to meet the needs of specific role/company be sure to look at the language used in any job description, marketing materials, website of the company and mirror where possible this language in your CV. Keep your CV to a maximum of two pages and makes good use of signage and white space. Use short, sharp bullets and ensure that when tailoring CVs for specific roles you put the most relevant bullets at the top of each of the sections. If you are running out of space cut down the number of bullets on your older roles and if necessary remove your “Additional Information, Hobbies & Interests” section. If you are tailoring a CV, you can save space by removing any bullet points, training undertaken and qualifications achieved that are not relevant for the role you are tailoring the CV for. Get someone who knows you well to review your CV before you send it out. They will be able to help ensure that you haven’t left off any important info about your skills and experience. Once you’ve completed your CV, leave it for a day or two and then come back and proof read it. If possible get someone with good attention to detail/spelling & grammar skills to proof read it for you before you publish it on any recruitment websites or send the CV to recruiters/employers. Always name and Date your CV, I would suggest the following naming convention for a general CV <Your Full Name> – <MMM YYYY> and for tailored CVs <Your Full Name> – <MMM YYYY> – <Tailoring Specifics – e.g. name of role, or industry/sector type>. This will help you to manage your CVs and ensure you don’t get caught short and not know what CV you sent where! Always keep an archive of old versions of your CV on your computer/personal disk space. This will ensure you know exactly which CV you sent where and when. It can also help you reduce work when tailoring if you can find a tailored version that can be tweaked, rather than starting from scratch. This entry was posted in My Blog, My Work, Wealie Advice and tagged Curriculum Vitae, CV, CV Writing, job hunting, job seeking, recruitment, ruth weal, wealie. Bookmark the permalink.